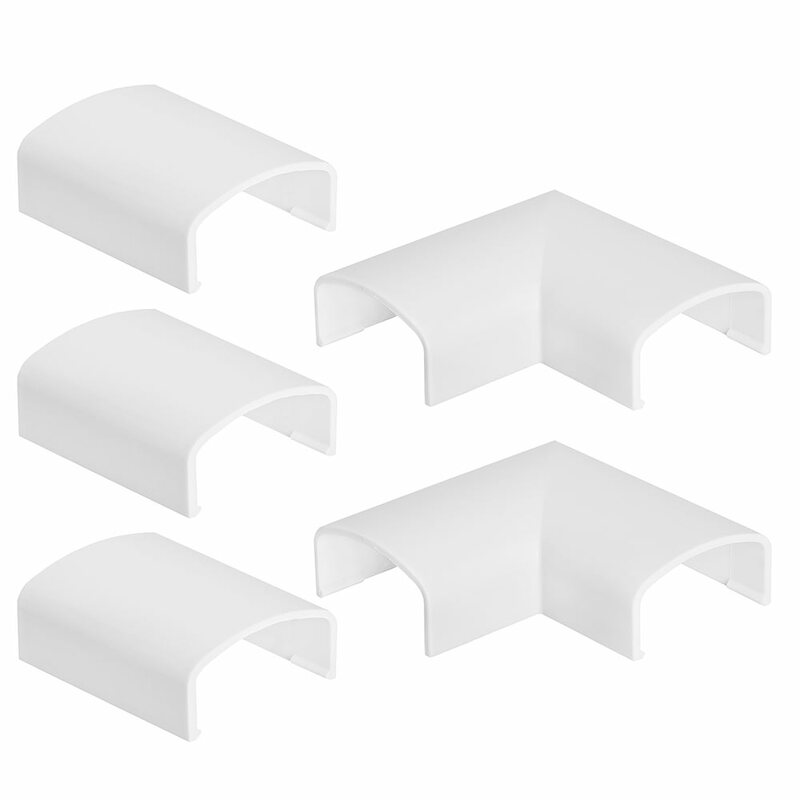 Each raceway in this cable management kit is a hinged plastic enclosure, that latches on one side, making it easy to open to insert, remove, or manage installed cables. When closed, the raceway measures 11/16" between the latch lip and the edge of the hinged side. Vertically, it is 1/4" at the edge and 3/8" at the top of the dome. Under the latch lip, there is a space about 3/16" x 3/16". The raceways and connectors are white plastic and can be painted to match your walls or decor. Each raceway has adhesive foam tape attached to the back side for easy installation onto a clean, dry surface, including slightly uneven surfaces. 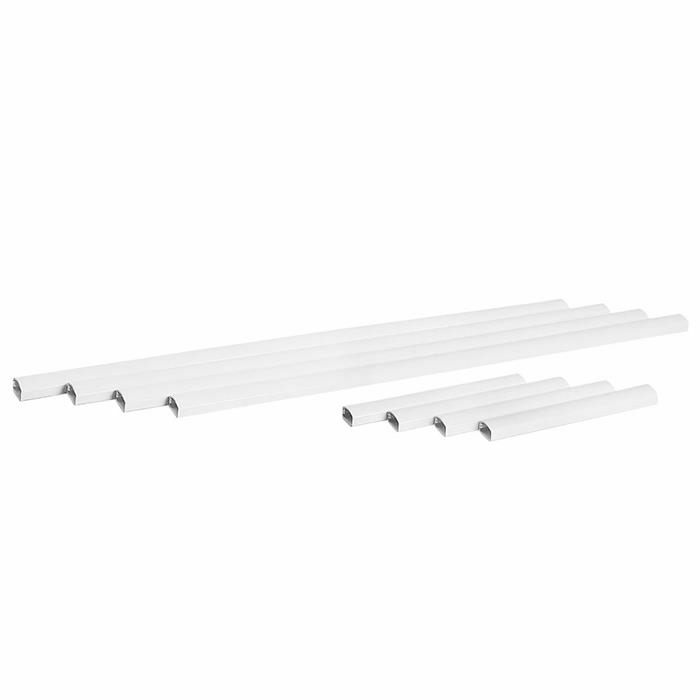 The raceways can be easily cut down to shorter lengths using a hacksaw. 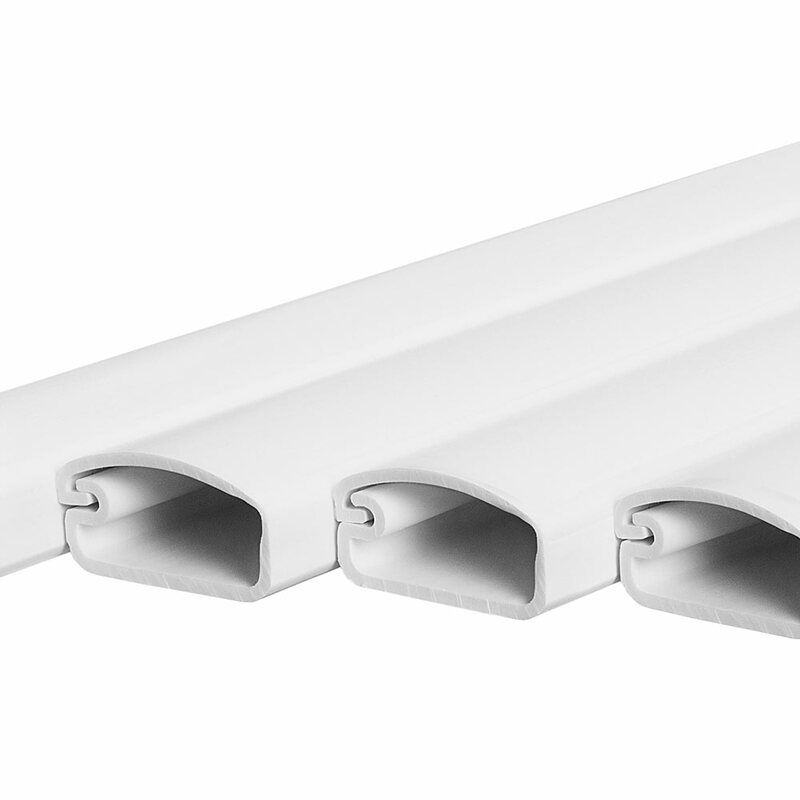 The kit includes four long (30") and four short (9.25") raceways, plus a variety of connection covers to fit almost any circumstance. 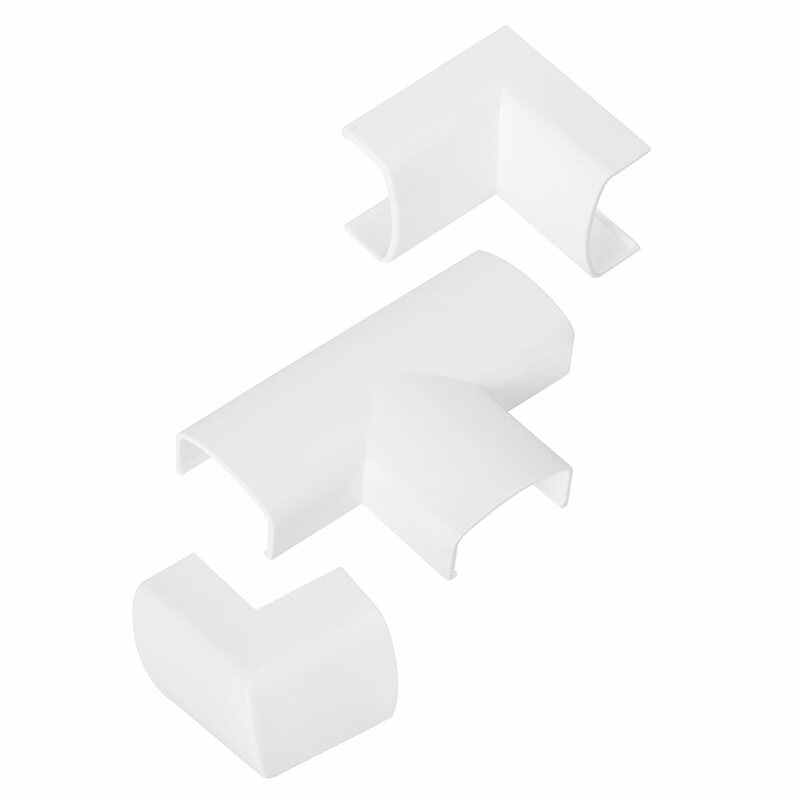 Additional connection covers are available separately.